Iperius Storage is the professional cloud backup service for Iperius Backup, to protect computers, servers, applications and virtual machines. 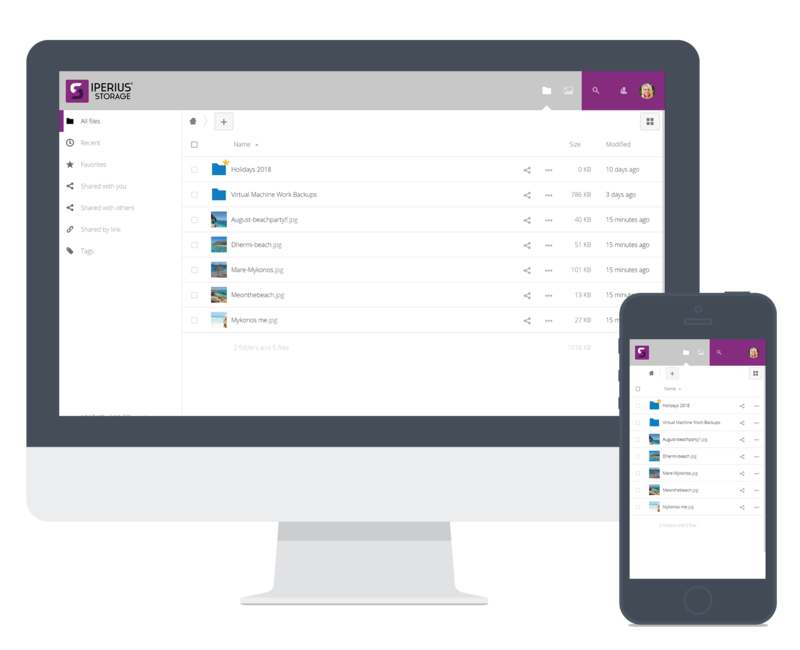 Amazing interface: send, organize and share your files! Quick preview for images. PDF, text files and many other formats. Protect your shared files with a password or an expiration date. The best all-in-one backup software to protect PCs, Servers and Virtual Machines. Free backup even for servers. Backup to NAS, USB and RDX drives, Cloud, FTP, LTO. Open file backup (VSS), ESXi and Hyper-V backup, Exchange Server and Exchange Online (Office 365), MySQL and SQL Server databases.